This week we visit Chicago! Also known as Chi-Town and The Second City, its most important moniker to us is (of course) The Windy City. Our first stop is the city's Monroe & DuSable Harbors as we find out just how much Michiganders take advantage of their the lake life. 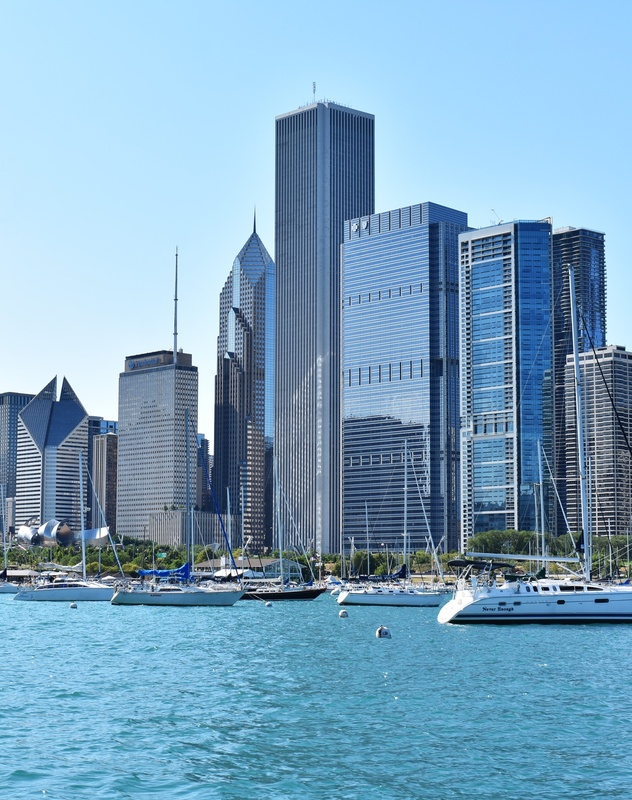 If you visit Chicago as a non-boater like I did a decade ago, you miss out on a world of activity in the boating scene. Now I understand completely why The Windy City is such a notorious haven for boaters, sailors, windsurfers, jet skis, and more. 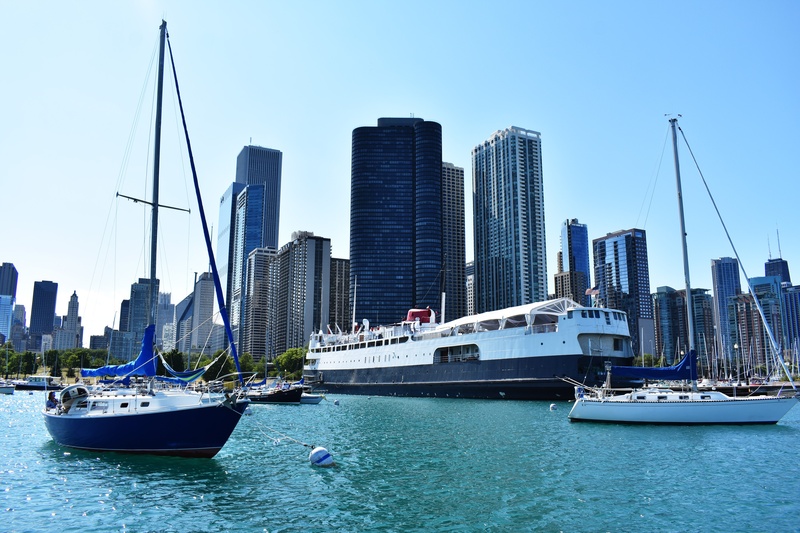 With thousands of moorings and docks available for short- and long-term stays, captains here can sit pretty downtown or easily pop into the city from elsewhere for a few nights before continuing on their way along Lake Michigan's coastline. As far as U.S. cities go, Chicago is a favorite for the arts, sports, and architecture. They may outshine its reputation for extremely well-run harbors and waterways, but the fact remains that the city prioritizes protecting and serving its boaters. 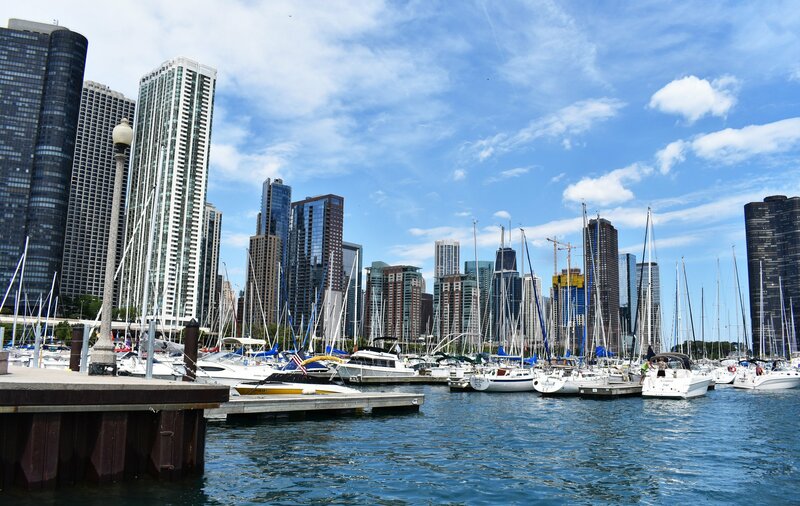 Tech-savvy, proactive, and resourceful, Chicago Harbors sought out Dockwa and tested it with their boaters first with Navy Pier in anticipation of the America's Cup. Once they found it easy to use and boaters responded well to the system, Monroe Harbor was the next on board. 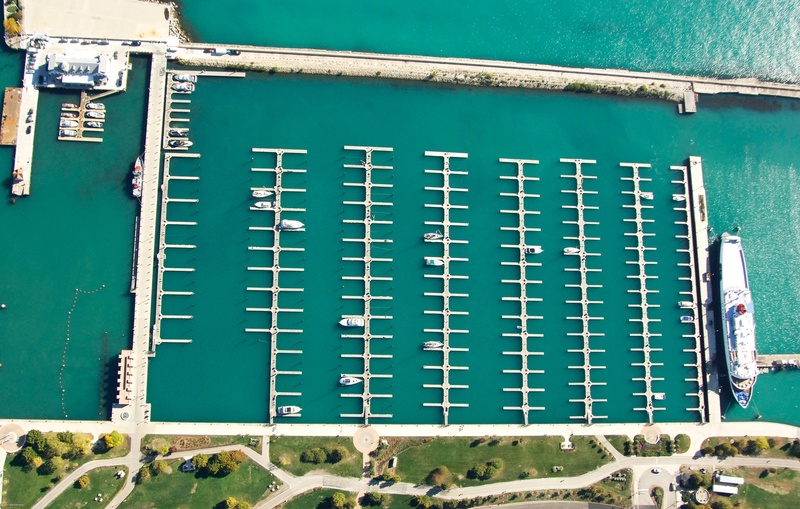 Tucked into the corners of Grant Park in the center of Chicago's coastline is Monroe Harbor. With more than 800 moorings at a $1/foot, a night on the water in Monroe is world's cheaper than any hotel room in a 5-mile radius – and comes with a better view. Chicago regulars may remember a time when Monroe offered docks, but they've since moved to moorings-only. With the variable water level tying up on the wall is hazardous, so is not allowed for anything more than just a quick crew pick-up. Initial approach to both harbors is straightforward – steer well clear of the highly visible breakwater and be mindful of the traffic that can occasionally bottleneck when even a small percentage of their 1000+ boats come in or head out. Once inside you can certainly radio with questions or inquire about dockage, but if you've booked on Dockwa your assignment will be in the notes field on your reservation inside the Dockwa app. Tie up and settle in or hail the launch to start exploring the city. View the harbor entrance on Marinas.com. Once in the breakwater, you'll see what's unofficially known as Monroe Harbor South to your left, then the bulk of the Monroe moorings, unofficially known as Monroe North. The south tends to be quieter and more removed and houses more resident liveaboards. 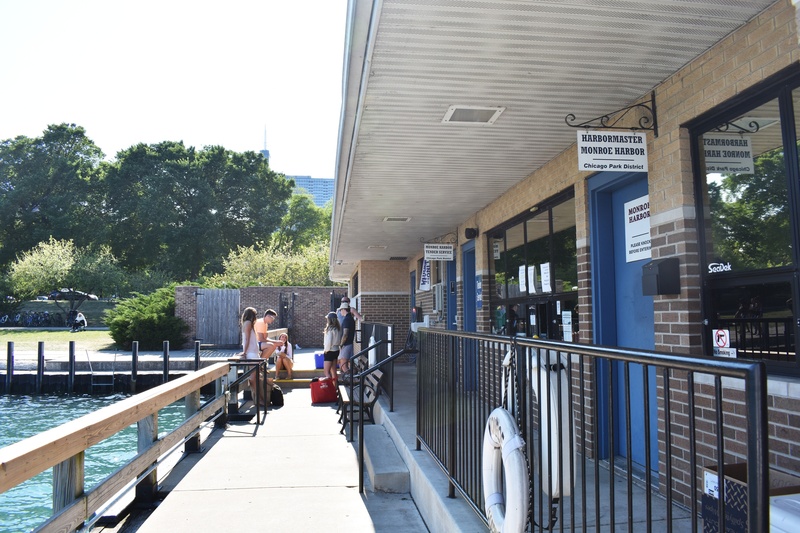 If docking at DuSable Harbor, continue past the northern Monroe moorings past the Columbia Yacht Club's massive barge clubhouse and you'll see DuSable Harbors 420 slips to your port. Just one weekend in Chicago gave this native New Englander coastline-envy. Within a minute walk of Monroe and DuSable are some of the best parks, museums, and venues in the country. Every Wednesday night the city hosts a fireworks display near Navy Pier, visible for all the boats in harbors or out for nightsails. Walking from marina to marina I stumbled upon a free outdoor concert at the Pritzker Pavillion as part of Chicago's ongoing concert series. 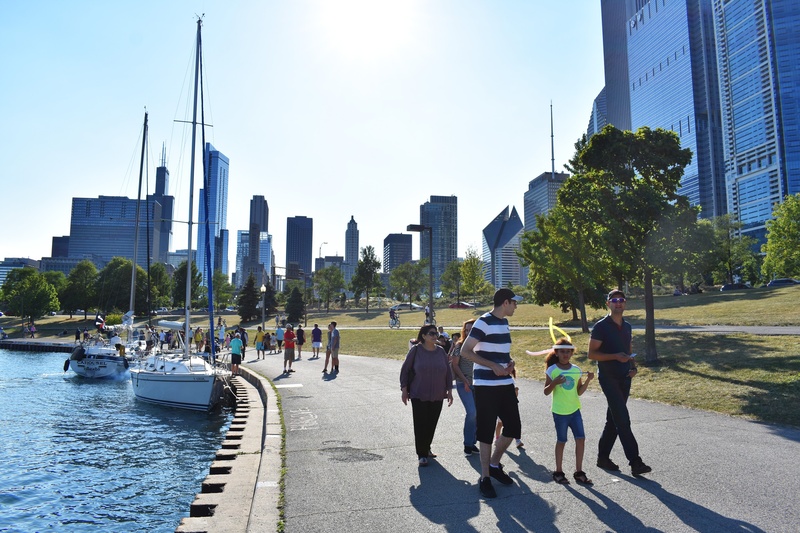 Families gather to play in the nearby fountains and can take a quick walk to North Avenue Beach to swim in the lake. 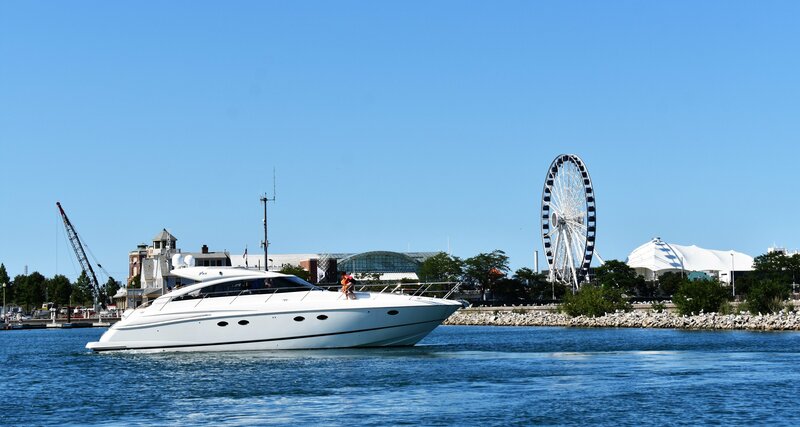 North of Monroe, DuSable, and just north of Navy Pier and North Avenue Beach, boats – hundreds of boats – routinely gather each weekend in the Play Pen (if the weather permits) for a massive raft-up. 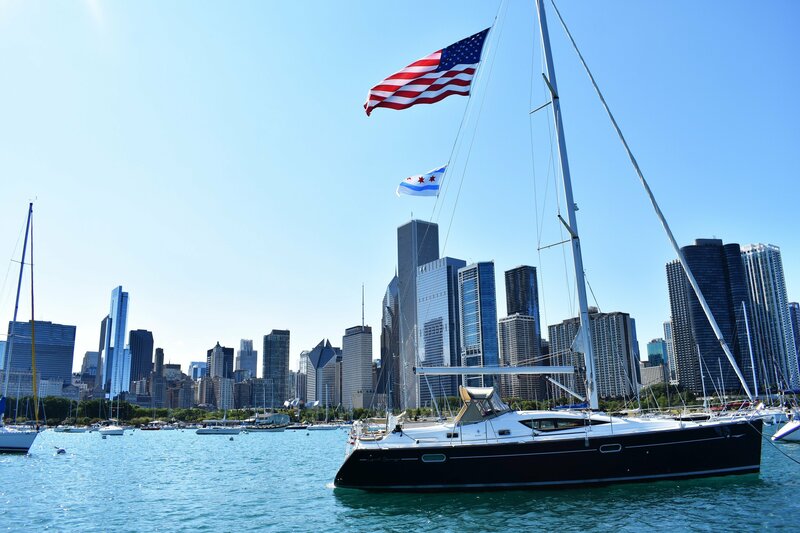 I just happened (ahem) to be in town for the Chicago Yacht Club's Race to Mackinack, and had a blast meeting Great Lakes sailors at the Gun Party the Thursday night before the Cruising Section disembarked, and the barbecue for the rest of the crews on the Friday. I could write a book about the crew at Monroe. 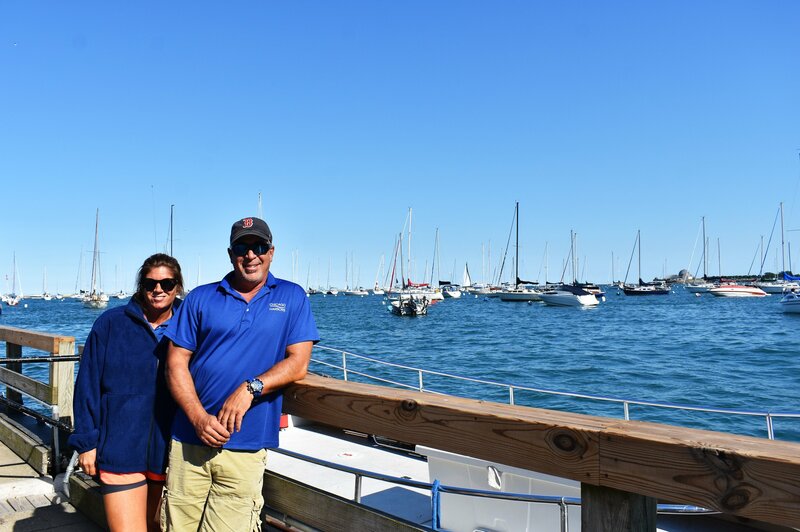 Easy-going and on-point, Harbormaster Luke Pepin and his Assistant Harbormaster Jen have their work cut out for them, yet manage to make managing hundreds of moorings and boaters look effortless. 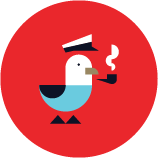 And if you do happen to get the snarky end of the stick, just know that it's with your (and your fellow boaters) best interests at heart. (Bonus points go to boaters who can keep up on recent baseball stats with Luke, a die-heard BoSox fan.) Overall: Five stars and two thumbs up for Monroe Harbor on Marinas.com.